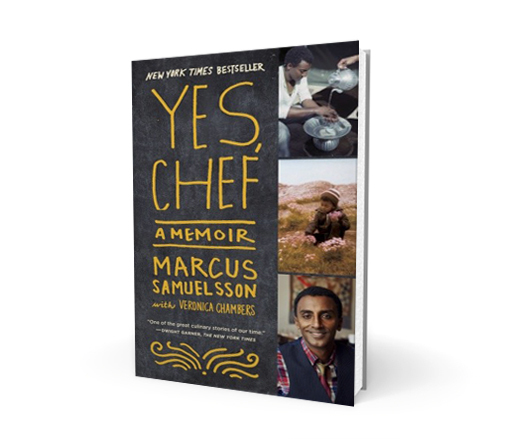 Yes, Chef: A Memoir chronicles JBF Award winner Marcus Samuelsson’s incredible journey, from being orphaned in Ethiopia, to his adoption and childhood in Sweden, to his arrival in New York City, where his work at Aquavit earned him a coveted New York Times three-star rating at the tender age of 24. His career trajectory led him to White House dinners, reality show triumphs, and, ultimately, the opening of his acclaimed Red Rooster restaurant in Harlem, where he’s fulfilled his dream of creating a truly diverse, multicultural dining room. Beard on Books is an ongoing monthly literary series featuring readings and discussions with some of the food world’s most celebrated authors. Acqua Panna and S.Pellegrino waters, Lavazza Coffee, tea from Tea Forté, and Valrhona Chocolate will be served. Sweets provided by Sarabeth’s. Guests are also welcome to bring a brown-bag lunch. Suggested donation $20. Free admission for students.